Pop Art Minis: Ribbit! 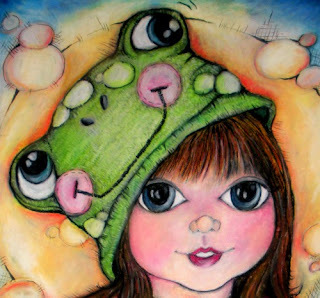 Ribbit! TOAD-ally Awesome Friends And Lots Of Froggy Fun! Ribbit! 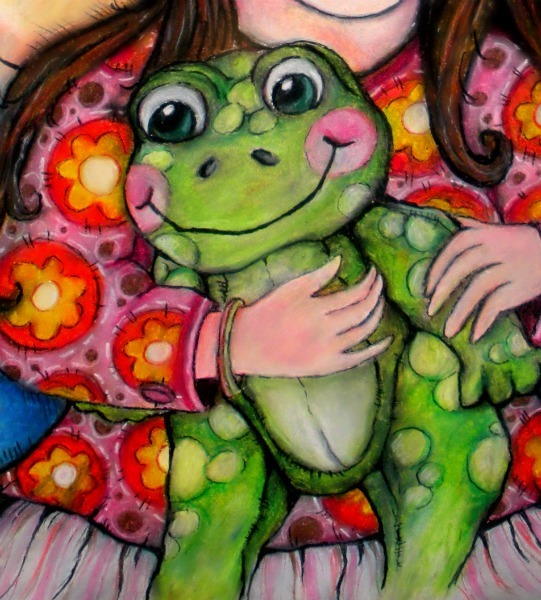 Ribbit! TOAD-ally Awesome Friends And Lots Of Froggy Fun! I love frogs...green, groovy and gorgeous...ok, maybe not gorgeous, but TOAD-ally cute! 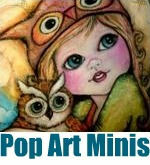 And I can't resist creating these colorful characters in Pop Art Mini style. 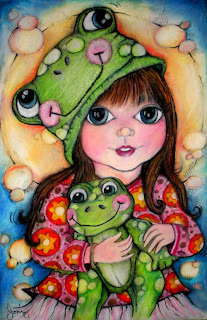 Lots of Froggy fun and the perfect friend for a big eyed girl. 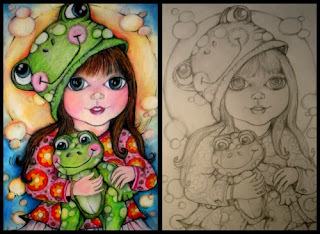 Here's the closeups and comparisons...poppin' and hoppin' with color! A green groovy friend...definitely a beaut! Hope your day is hoppin' with non-stoppin' fun! 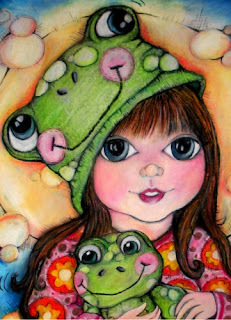 Yes, she is "toad" aly cute! I really like the way she came out! I like the patterns on her dress, too! great color combos. Her eyes are so striking. Do like that pop of green to contrast. Thanks so much for the awesome comments! It's always a great to read and receive feedback! 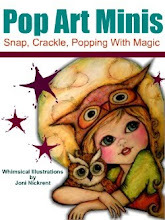 Appreciate the time you take to pop by and leave a comment! You ALL ROCK! I absolutely love these! Your artwork is amazing and you are so talented! Awww! so cute! Fantastic work! Very beautiful! Amazing details!